The population of the United States is changing demographically – it is growing older and more ethnically and linguistically diverse. This combination of factors is making long-term care services increasingly important, particularly for populations that are multi-ethnic and bilingual. The field is growing so rapidly that The Wall Street Journal reports that the number of professionals who care for elderly Americans grew 120 percent in 2013. TUW has answered student demand with our health science degree offering. The fully online format makes the degree accessible to more students and presents a flexible alternative to traditional on-ground degree programs. Students can transfer up to 90 semester credit hours, allowing you to maximize previous education and expedite degree completion. 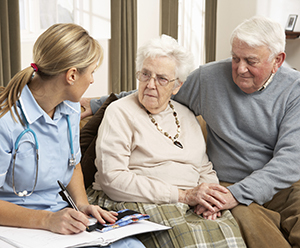 The long-term care administration program is student centered in a number of ways. Class sizes are limited and more personal, so you receive more of your professor’s time. All TUW professors are carefully selected for their credentials and passion as an educator. The Bachelor of Science in Long-Term Care Administration requires a total of 120 credit hours for completion. * Students must meet the prerequisite requirements before taking any of the major program requirements. The duration of the program will vary by students. Factors affecting your completion time include the number of transfer credits and time off between courses. A maximum of 90 semester credit hours can be transferred to fulfill the degree requirements. Full-time students can complete the program in 3 ½ years; part-time students can complete the program in seven years.